We've listed below several ways for you to place an order. or contact us if we can be of any assistance. You can now order books at the click of a mouse using our 'shopping basket' system. Items can be added from the individual book windows or the category pages. Your basket can be accessed from any of the category pages, where you can check, edit and submit it. Payment is through the Paypal system by Credit Card or from your Paypal account. If you have any problems using this system please contact us or use one of the alternative methods below. for delivery in the United Kingdom. For Europe there is a fixed fee of £2.60 per book. 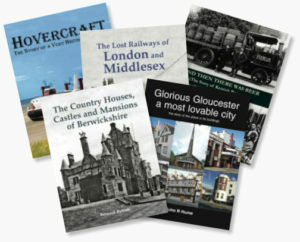 Other Worldwide destinations - postage is charged at £4.00 per book. Print out this form, fill it in with your order and card details, then post it to us.